One of my favorite possessions is a simple stone statue of a woman riding a horse. This figure is Epona, the Celtic Goddess. Epona was the guardian and protector of equines (horses, donkeys, and mules). She was also a fertility Goddess. 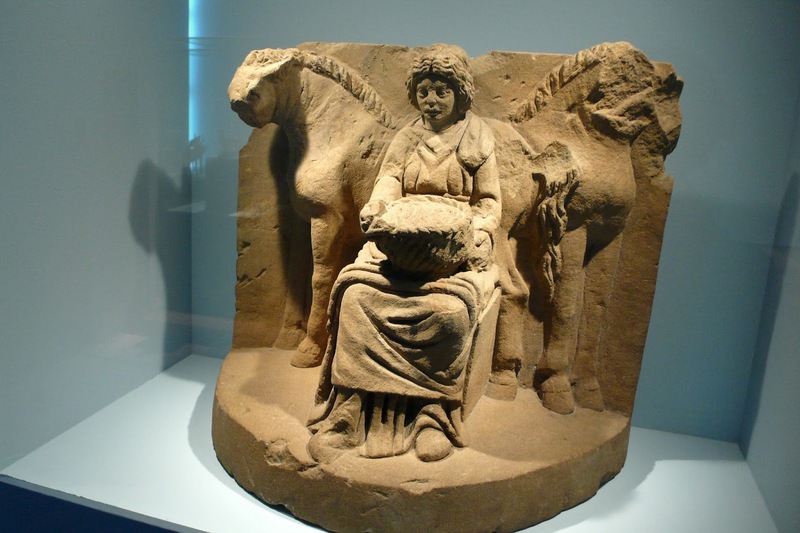 Depictions of Epona have her riding a horse and often accompanied by a foal. She may also carry cornucopias or ears of wheat. The Horse Goddess was also shown as a white mare. 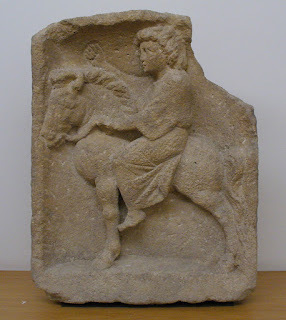 Epona can be traced back to the first first century. Her name is derived from the early Celtic ekwos. 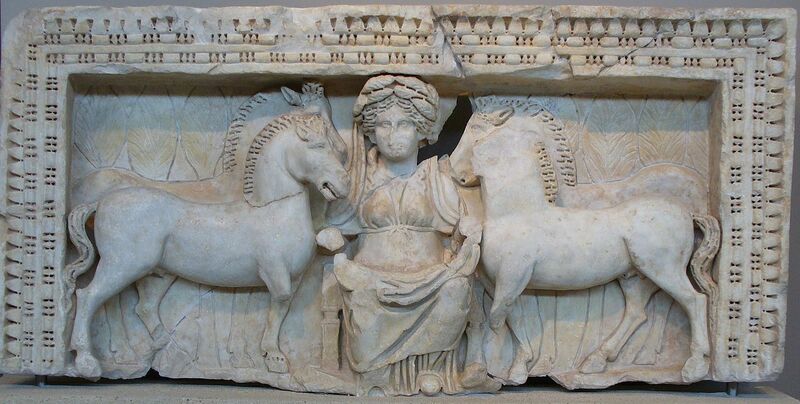 Epona wasn’t the first horse goddess. Demeter took the form of a mare and was pursued by Poseidon (also in horse form). She gave birth to two foals, one called Arion. Historians and archeologists have found proof of Epona cults across the ancient world. One such place is the Danubian province of Germany. A lead sheet was discovered in Rom, Deux-Sevres (Rome). The dedication named Epona and the bones of a filly were found at the site. Inscriptions to the Goddess have been found in Greek and Latin. 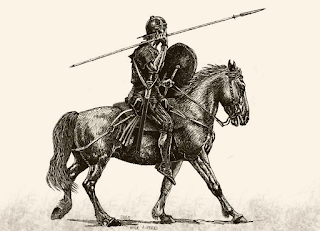 Roman cavalry, especially the Imperial Horse Guard, adopted the Horse Goddess as their own after they entered Gaul. 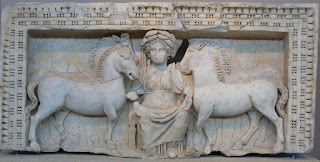 December 18th was dedicated to Epona Augusta (or Epona Regina). As the Romans spread out to conquer nations, they brought the cult of Epona with them. Notations of Epona were found in Spain, Portugal, Budapest, Thrace, the Rhineland, Pannoria, and the British Isles. The images and sculptures can be of different styles: riding, sitting or standing before a horse, between two horses, the mare and foal, and as a horse-tamer. Epona is still worshipped today, although not to the extent of her former glory. An annual ritual held during May Day in England has ‘hobby-horse’ riders parading through the streets. On Mackinac Island (Michigan), a blessing of animals is performed in honor of Epona. This makes sense as the island still relies on horse-power due to a ban on automobiles. It is believed that the British aversion to eating horse-meat may have its roots in the worship of Epona. 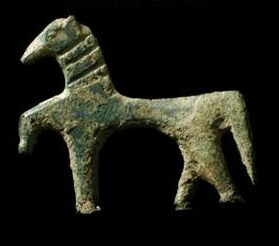 The British Museum has a small bronze figure of the Horse Goddess.